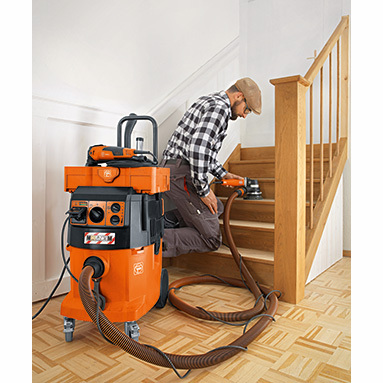 FEIN Dustex 35 MX AC - Wet / dry dust extractor - 110v. 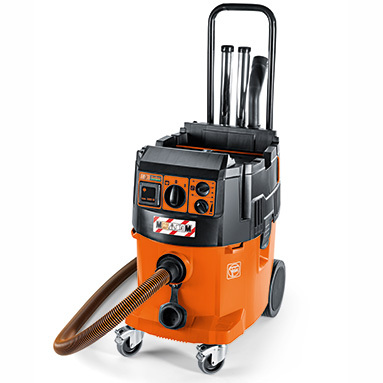 Powerful, professional wet/dry M Class dust extractor with fully automatic filter cleaning. for attachment of various case systems including extensive accessories. Includes: 1 push bar, 1 PES flat fold filter, 1 disposal bag, 1x 4 m suction hose - diameter 35 mm, 1 tool collar with suction force regulation, 1 stepped collar, 2 suction pipes (metal), 1 combi nozzle with interchangeable inserts, 1 crevice nozzle, 1 suction brush, 1 elbow.